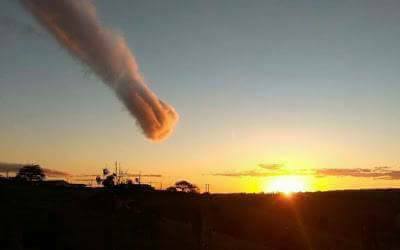 A mysterious cloud looking like a giant fireball crashing to Earth appeared in the sky of Teixeira, Brazil on August 18, 2017. Wow! 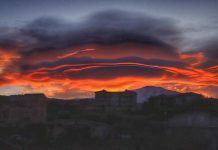 an elongated and spectacular lenticular cloud formation at sunset. 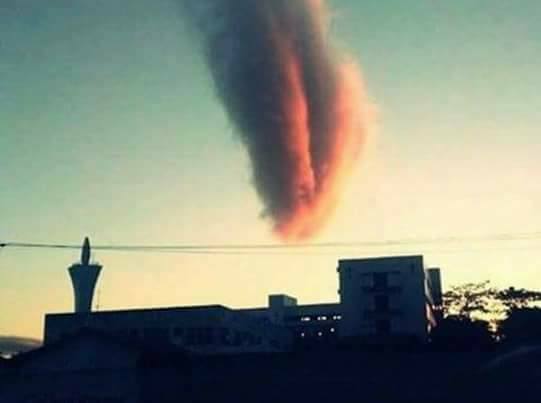 This cloud formation reall looks like a fireball crashing onto Earth. 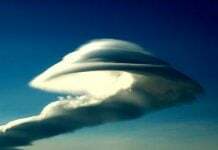 This giant cloud is similar in shape and color than a lenticular cloud that appeared over Yalta last year. 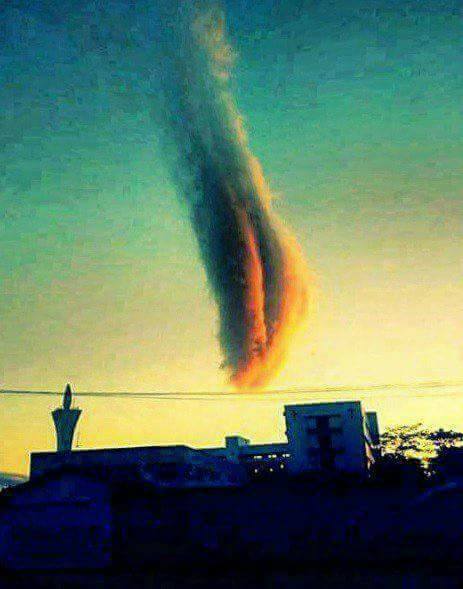 This giant cloud is similar in shape and color than a lenticular cloud that appeared over Yalta on December 23, 2015. 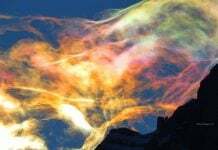 Have you ever seen a similiar cloud formation in the sky over your heads?